Travelling to different places around the world is definitely something that I want to do after college. There are so many places that I would love to see and so many things that I would love to do. I am beginning to save my money so that I have the opportunity to start travelling on my own or with friends either in 2016 or 2017. I think that travelling gives you a sense of freedom and its also an achievement as well as you have worked hard to save up the money to get there. In today's post, I have decided to pick my four top places which I would like to visit in the following years. It was quite hard to narrow it down to four, but these are the places that I have been wanting to visit for years and years and hopefully I will get the chance some day! America is the number one place that I want to visit and I have done ever since I was little! America is a very big place and I would love to go out there and visit a few places rather than one. The top three places in the US that I would like to visit are New York, Florida and Los Angeles. New York is a place that most people would love to visit some day and I hope I get the chance! There is so much to do and going shopping there would be a dream! The second place I want to visit is Florida and the main reason for this is Disney World! I am a big Disney fan and even though I've visited Disney in Paris, I would love to go to Florida! The final place is Los Angeles! I love the idea of the Hollywood and celebrity lifestyle and I would love to go visit all of the tourist spots in Los Angeles. Especially the walk of fame and the Hollywood sign! 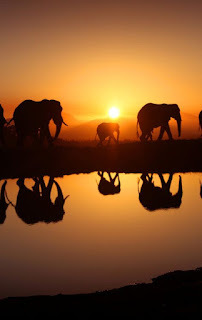 The second place which I would love to visit is Africa! I would really love to go on a safari and see all of the animals. I have watched a lot of videos on YouTube of people going to see the animals and having an experience where they can get up close with them and look after them. This would be a dream come true for me as I am a big animal lover! 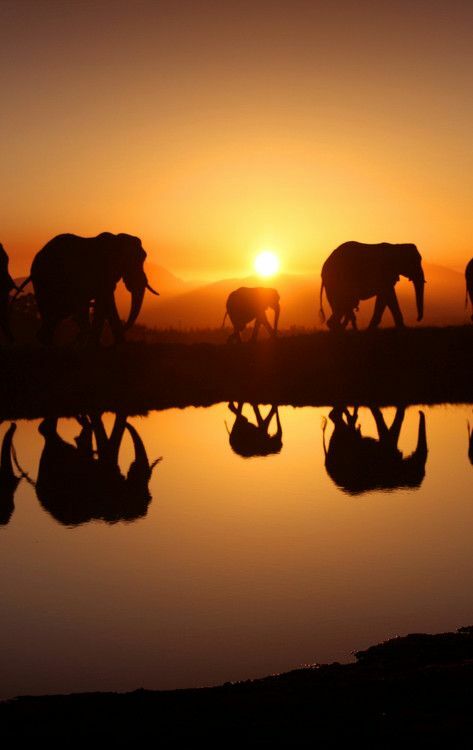 I have always wanted to go visit Africa and after watching the film 'blended' it has made me want to visit even more! I would love to see the culture over there and see how its different to where I live. Everyone always talks about the amazing experience that they have had and I think it would be a beneficial holiday for relaxing and getting rid of a lot of stress! If you have seen the film 'Mamma Mia' then you may recognize this place! This is a small Greek island and is the main location where Mamma Mia was filmed and I think it looks so beautiful. I think that the film really shows the best parts of the location and I would love to visit there some day. I think that it looks like the perfect holiday destination and also the perfect place to take lots of nice photos! 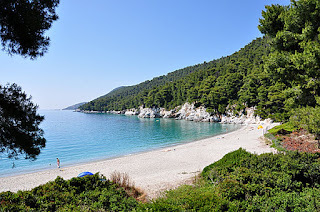 I recommend watching the film and I can guarantee that you will want to visit Skopelos afterwards! The final place which I would love to visit is Australia! I don't have a lot of knowledge of Australia so I'm not sure on the specific place that I would want to visit. I think that there are a variety of places which lots of people visit for a lot of reasons as there is so much to do and see! One place which does look amazing is The Great Barrier Reef which is located in Queensland. 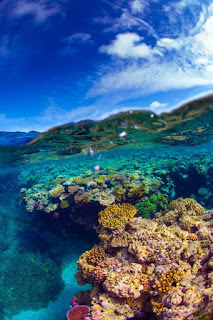 I would love to see what it looks like and also go snorkeling too so that I can see everything in full detail! Australia is a place which a lot of people want to visit at some point and I think it would be a great holiday! I really hope that I can visit all of these places one day and I hope that they are everything that I expect them to be! I always love going on Pinterest to look at travel pictures and get some inspiration of different places around the world. There is so much to see and I think that it is important to me to see these places! I would love to spend a full year travelling and I think it would be such an amazing experience. I think that one of the most interesting things would be seeing the similarities and differences between locations. I will leave my Pinterest below as I have a board which is specifically for travel pictures! 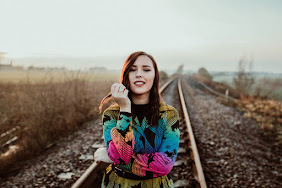 I hope you enjoyed reading today's post! Next week will be Halloween themed and I have been waiting for this for a while as I love this time of year! On Sunday 11th October I got the chance to meet the SacconeJoly's! They held a meet and greet at the RSPCA Big Walkies event and helped to raise money for the charity. If you don't know who the SacconeJoly's are, they are a family who vlog everyday and post the videos onto their YouTube channel! They have over 1 million subscribers and they have been filming their everyday life for over 5 years! If you haven't seen their videos before, I would 100% recommend watching them as they make you smile! I love that they get involved with charity events and use their channel to raise money for RSPCA. They have 6 dogs so it doesn't surprise me that they got involved. Meeting Anna and Jonathan was one of the best days I've had! They are honestly the loveliest and genuine people that I have ever met and I love that they can make so many people happy just by posting their videos. They also have their own individual channels too and I love Anna's channel as it has fitness, beauty and fashion related videos which I love! Getting the chance to meet them was so amazing and I would love to meet the whole family someday (including the dogs!). We went to Leeds Roundhay Park to the meet up and waited in line with 200 other people all eager to meet the couple. The weather held out for us and I went with two of my friends, Nia and Alice! It was so surreal getting to see them and I loved every minute of it! I have left one of their videos below for you to watch...The video is from the day of the meet up and I was lucky enough to appear in the vlog! It is a day that I will never forget and I would love to meet them again someday!! Video taken from The SacconeJoly's YouTube channel. On Tuesday, I posted my September Beauty Favourite's, so today I thought that I would post my other favourite's which I have been really enjoying in September. This post includes; film and TV, books and music. I have new favourites every month because there are always new things being released or I rediscover some of my old favourites. The 100 is definitely one of my favourite TV shows! This is an American post-apocalyptic drama TV show which has had two seasons out so far and the third one is being filmed at the minute! I was a bit late starting this series, but once I started watching this, I was attached! It is now my favourite show and I could watch it over and over. I love the cast that are involved and I love the story lines too! I would 100% recommend this show!! I recently got Netflix a few months ago and I started to watch Once Upon A Time first because a lot of people had recommended it and I thought that it was something that I would really like! I am only on the second season but I am really enjoying it so far. I really love all of the characters involved and I think that how they connect all of the story lines together is really clever. I would suggest this show on Netflix because its really interesting and there is always a new story line! The two films that I have really enjoyed watching throughout September are Insurgent and Mamma Mia. Insurgent is an American science fiction adventure film starring two of my favourites, Shailene Woodley and Theo James. This film has recently been released on DVD so I have been watching it quite a lot recently and I love The Divergent Series. Another film that I have watched quite a lot in September is Mamma Mia. This film was released in 2008 so its an old favourite which I really enjoy! This film is a musical and I really love how they adapt the songs into the story line. This film always cheers me up and is one that I will never get bored of. I have only just started reading paper towns a few weeks ago but I am really enjoying it so far! I went to go see the film not long after it was released and I think that the film was really good and I also loved seeing Cara Delevingne too! The story is about Quentin and his childhood friend named Margo. He goes on a search for Margo when she mysteriously goes missing and you get to discover more about Margo and the other characters along the journey that they go on. I always love John Green's books so I definitely wanted to read this one! I haven't finished it yet but I think that it is a really interesting book that most people would enjoy! This song was released a few weeks ago and I have been listening to it non stop since then! Ellie Goulding is one of my favourite artists and I am really happy that I have been able to get tickets to see her next year. I was very excited to find out that she is releasing new music and I cant wait to hear the rest of the music because I am really enjoying listening to On My Mind. I have always loved Little Mix ever since they were on X Factor and I really love their new song called Love Me Like You. They are also releasing a new album soon so I'm excited to hear their new music! Love Me Like You is a song that I always listen to in the car and I think that a lot of people will enjoy this song! They also released the video today and it is based on prom and I love all of the dresses that they wear! Love Me Like You has got me excited to hear their new songs from album three! They were all of my favourites that I have been enjoying throughout September! I am looking forward to carrying on watching Once Upon A Time and finishing Paper Towns. I am also really excited for The 100 season three as I think that it is going to be the best one yet! I will have another beauty post on Tuesday and I hope you enjoyed reading this post!